GLENN IS BACK IN EUROPE SPRING 2016! THE SMASH HIT EUROPEAN TOUR 2015 WAS OFF THE CHAIN! Our favourite travelling vagabond is back and he’s bringing you some of his best a whistle stop tour of the UK from this April, confirmed dates are below but stay tuned for more to be announced and a few surprises along the way…..
Glenn has a comedy career that spans 20 years with television and live engagements on 5 continents. 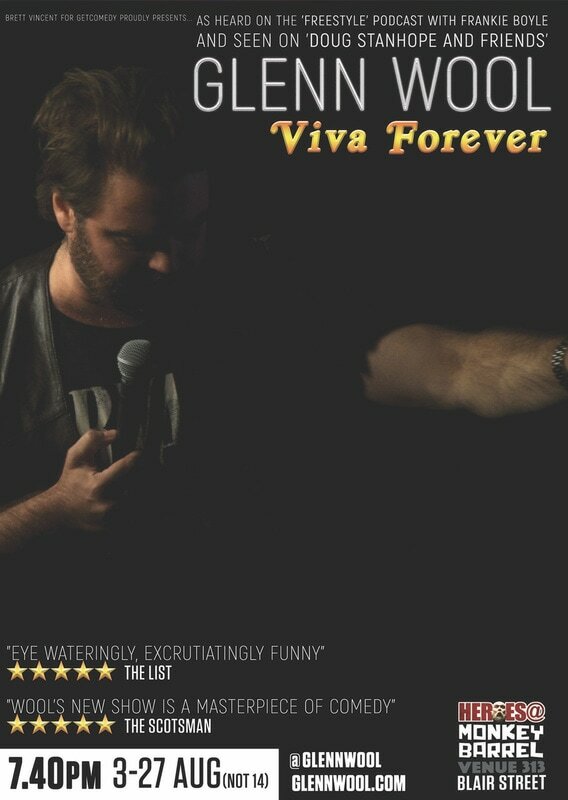 Has has performed 7 different solo shows at the prestigious Edinburgh Fringe, that’s a LOT of material. He wants to share his favourites with you, which he’ll choose each night from this vast collection in his new(old) show…please join him on the journey. And if you’re on the flip side or some other corner of this globe, check out the dates below for a city near you…. He's back and funnier than ever! Glenn returns to the Udderbelly Festival on the Southbank for the 3rd year running. Catch the Worlds no.1 Headliner in the intimate setting of a great big purple upside down cow! 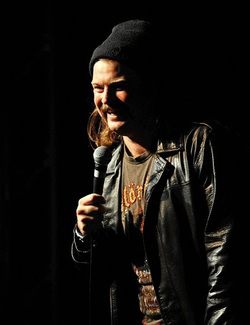 It was 15 years ago three fresh faced young Canadian comics, Stewart Francis, Craig Campbell and Glenn Wool made their Edinburgh debut at the fledgling Stand Comedy Club. A decade and a half later and they’ve grown into formidable performers with an enviable string of broadcast credits and live touring under their belts. Each of them could and have filled theatres up and down the land. But this year they’re back together in a feature length show that’s just simply got to be the best value for money on the Fringe ever. Picture this. The year is 2008. 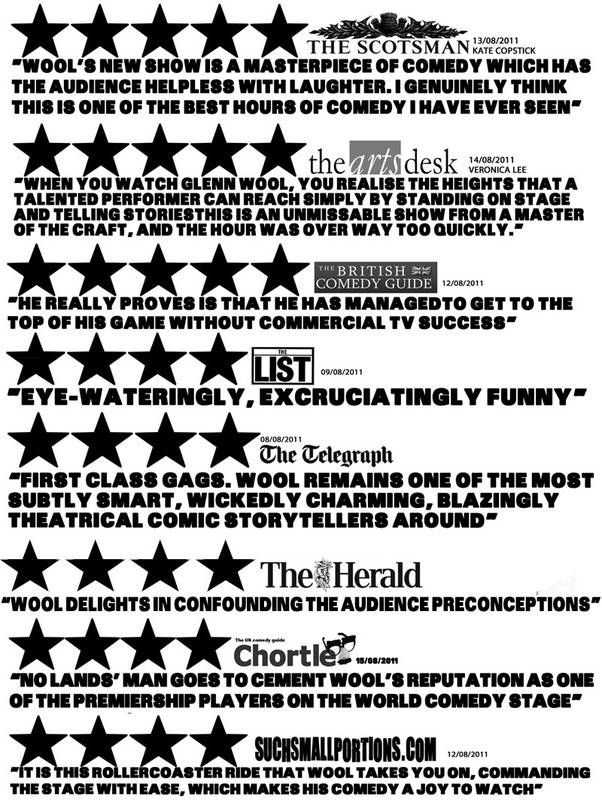 A delighted Wool has been nominated for the Chortle 'Best Headliner' award along with Jim Jefferies, Michael McIntyre, and Rhod Gilbert. Drunkenly crawling off a flight from Shanghai, he goes directly to the ceremony and loses.... to Michael McIntyre. After spending all night at the bar and vomiting on the bar, the floor, the walls and the stairs of the beautiful function space, Glenn decides he’s had enough. Literally and spiritually he goes home. Back in North America he stops drinking and starts again, then stops again, ad nauseum. Who knows where Glenn would be if he'd stayed in the UK with those other fairly successful chaps from that nominee list? Impossible to know. However, what we do know is where he’s been after that. For the last three years Glenn has been travelling the world from Ireland to Australia, via India, NZ, Singapore, HK, China, Holland, Dubai, Bahrain, Abu Dhabi, America, Canada, Indonesia, Sweden, Norway, Denmark and Malaysia, cracking jokes, getting in scrapes with Indonesian customs officers, watching beavers, seeing ufos in Manhattan, visiting the Creation Museum in Kentucky and everything in between. A pioneer of the world circuit and with no fixed abode, this show will let you peep through the window into a life jam packed with experiences, distilled to perfection and poured into a laughter packed hour of straight up honest stand up comedy. Throughout the week of 2 – 6 July, The Stand will be recording a brand new TV series for COMEDY CENTRAL as the channel takes over programming of The Stand, Edinburgh to film some of our favourite acts in their favourite venue! The Alternative Comedy Experience features a variety of genre-busting, cult-comedy performer’s alongside some internationally acclaimed, award-winning talent, handpicked by series curator Stewart Lee. Filmed from 2nd-6th July, the series will air on Comedy Central as part of the autumn 2012 line up. Follow THIS LINK for more info and tickets.